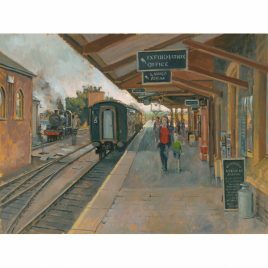 Born in Bristol in 1959, Ian Cryer has painted professionally since he was 16 years old when he had his first one man show. 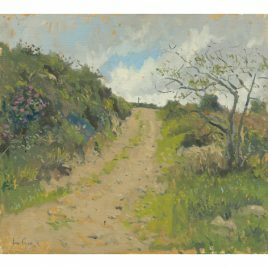 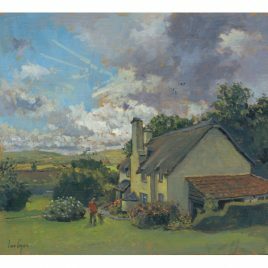 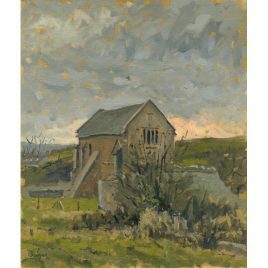 Without any formal education in fine art Ian took work in order to attend evening classes, tutored by Leonard Boden RP, he developed and honed his skills as a painter. 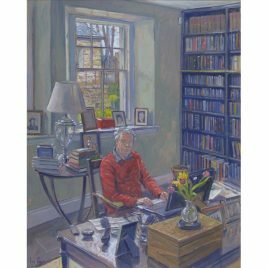 Now forty years on Ian, having been vice president of the ROI (Royal Institute of Oil Painters) for the past five years, is about to commence his role as its president. 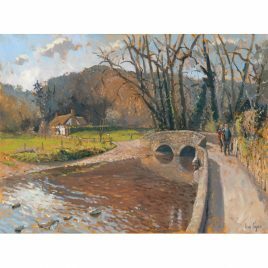 Exmoor has drawn in some of the finest British painters of the 20th century; Alfred Munnings, Cecil Aldin, Lionel Edwards and Alexander Carruthers Gould were all seduced by its wild and rugged landscape and the unique people who inhabit the moor. 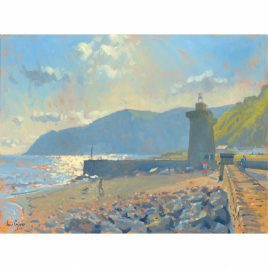 Influenced by their free impressionist approach, Ian is following in the tradition of some of the most influential painters of British Modernism. 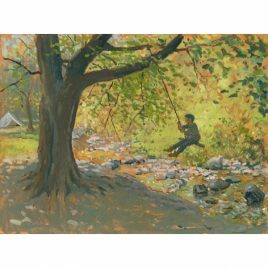 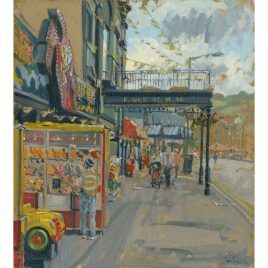 They, like Ian worked directly from the subject, ‘en plein air’, focussed on depiction of contemporary life the work is imbued with a strong sense of time and place. 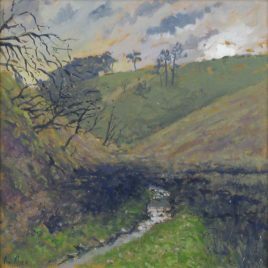 This direct observation renders the artist inherently as much a part of the painting as the subject he paints, empathising with every rain soaked pony and sun scourged rock. 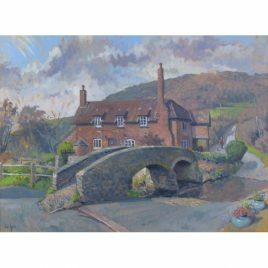 Ian has an expressionist style; he is able to daub shades of colour into foreboding skies and with shafts of light creating an immediacy demanding the viewer share the atmosphere. 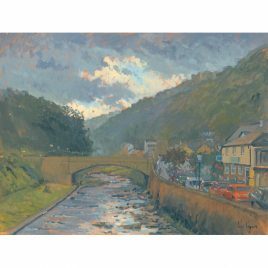 A Year on Exmoor rolls out Ian’s talent as an artist as he documents its ancient unchanged landscapes and coasts to the man made world which has carved its own mark; chugging in by steam train. 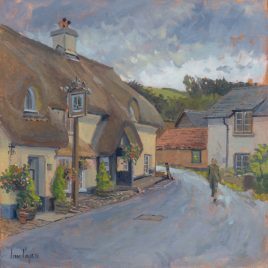 Homesteads under thatch, wattle and daub and woven into its moors and marshes to the people who inhabit them; ever-changing yet recognisable. 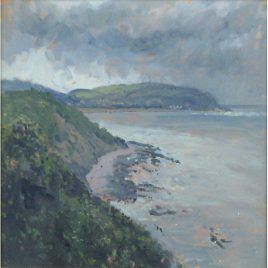 Like the Cornish painters of Newlyn, Ian has painted this dramatic area by submerging himself in its people, traditions, and landscapes. 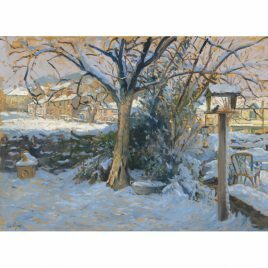 His sensitive observations and bold confident style underpinned by an unerring integrity to his trade make his work and this show exciting and relevant. 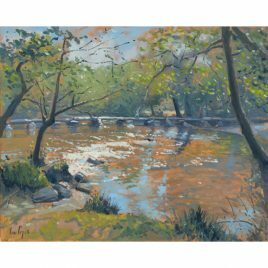 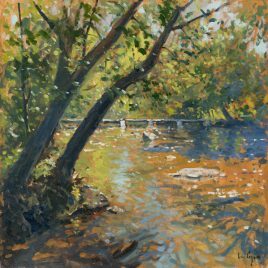 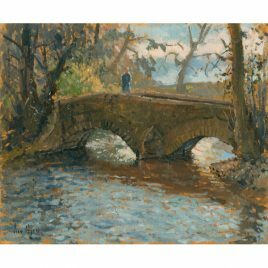 View cart “C1722 Riverside Trees at Tarr Steps – Ian Cryer” has been added to your cart.